I knew Santiago would be a love it or hate it kinda city. 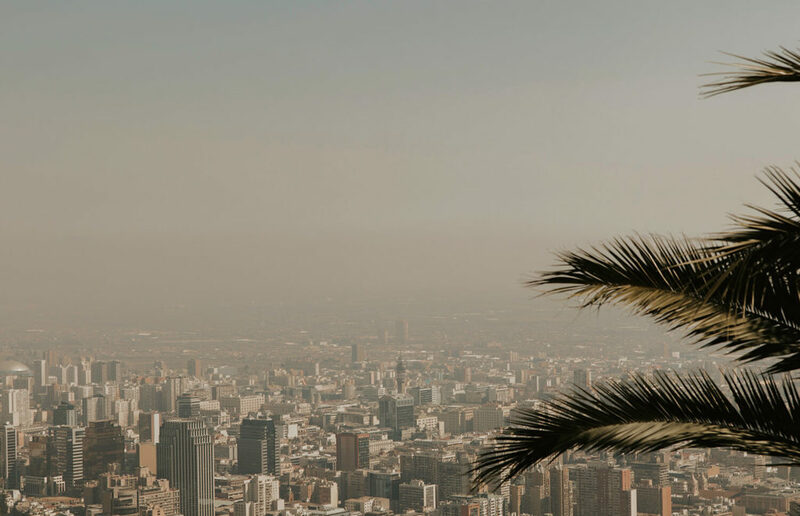 It’s infamously known for its smog and for travellers like us, who greatly appreciate epic views, a short stay in Santiago might be hit or miss because of the elements. 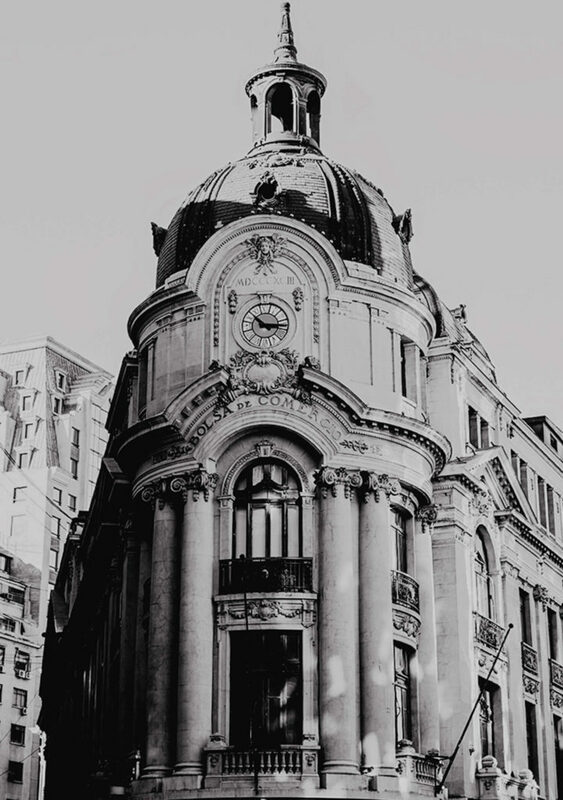 Unlike some other famous capitals in South America like Rio De Janeiro or Buenos Aires, Santiago isn’t exactly known for its abundance of famous landmarks or architecture. Be that as it may, I couldn’t help myself falling head over heels in love with Santiago! So much so that Kristof and I actually put Santiago on our list of possible cities we could see ourselves living in (someday…). One thing we wish we had during our trip tho? 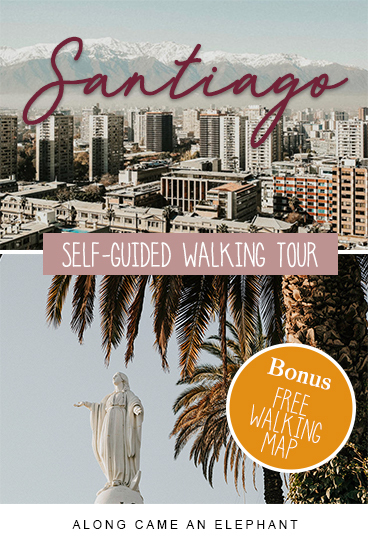 A free self-guided walking tour of Santiago! Santiago felt raw. Santiago felt real. Santiago is totally hipster. Santiago is rad, y’all! This city is alive in an eclectic way. 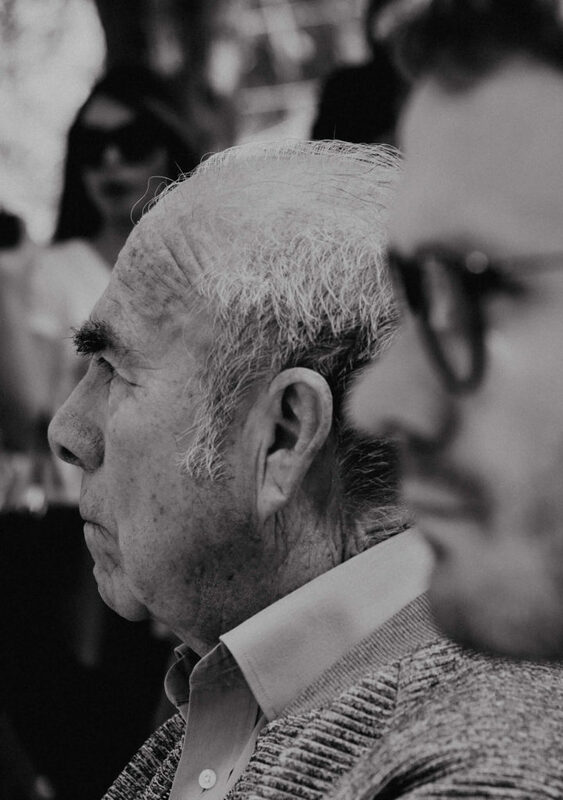 Sometimes it felt like we travelled through time –the clothes, the markets, the culture,…- and in some ways it felt like a modern metropolitan city. 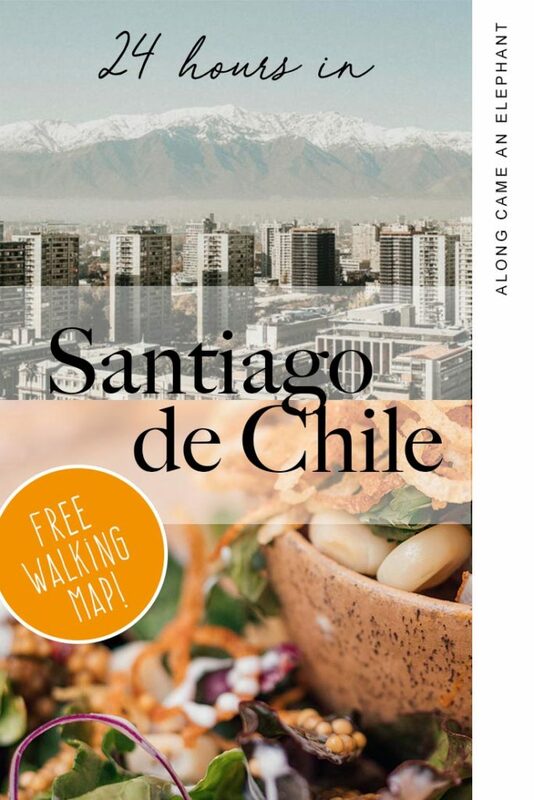 Here’s our take on what you simply can’t miss while there, all packed into one free self-guided walking tour of Santiago, Chile! 10:00pm — Hit the bars! 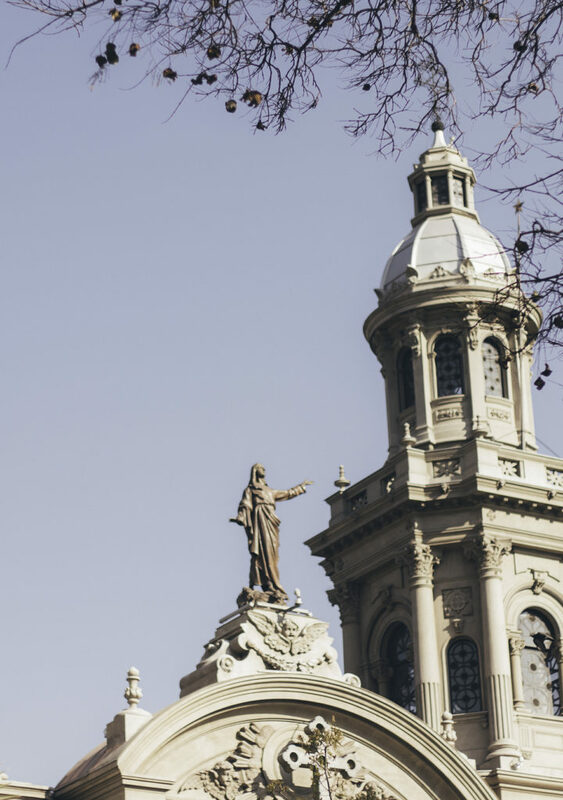 This ultimate self-guided walking tour of Santiago is all about the central barrios; Downtown, Patronato, Bellavista, Providencia, Bellas Artes and Lastarria. There are many other neighbourhoods to see but it’s just impossible to cover a city of nearly 6 million inhabitants just by walking from one point to another. 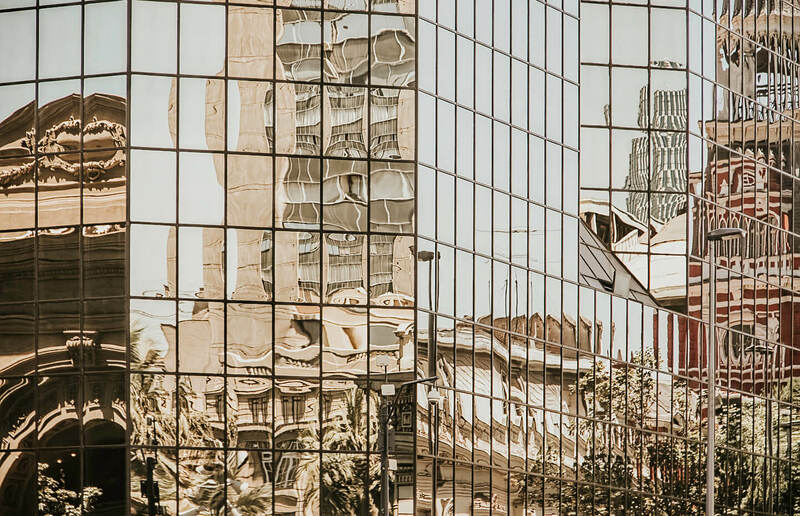 In our humble opinion, Santiago is best explored on foot. Yes, you could take the subway to most places but the subway can be kinda crowded. The barrios have some cute streets and colourful houses to gaze at so this Santiago walking tour is not too shabby (*smug grin*). Plus I use any opportunity to burn some extra calories these days so you know… I walk that ice cream off! This tour is about 6 miles long. I have included the times that we arrived at each of the main points, but we did a bit of wandering and took photography stops so don’t be confused if you get there a lot quicker (or slower). It’s a self-guided tour, so the timing all depends on you! 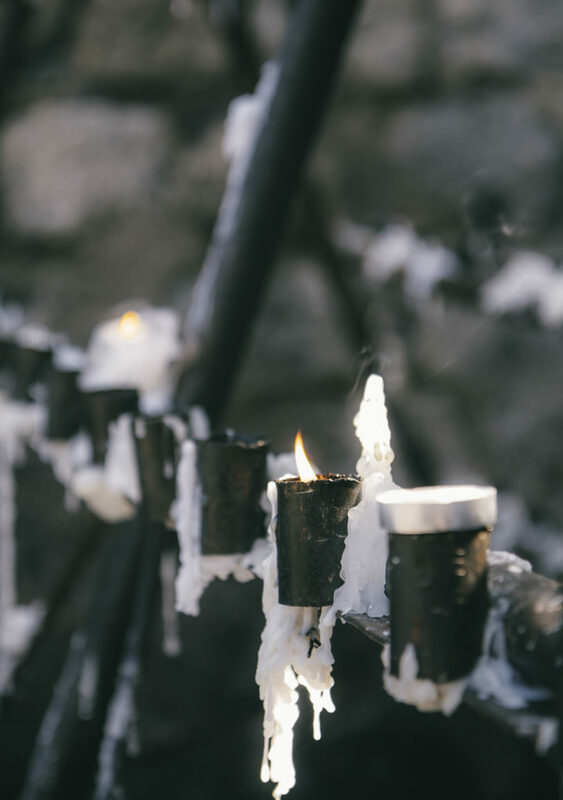 Temptations along the road to visit museums or churches, grab a coffee or stop for lunch might impact how long you spend exploring. If you’re tired, take the metro, you’ll pass a number of metro stations and they are very cheap. 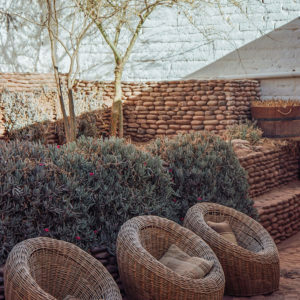 Check out these 8 super rad accommodations in Santiago! 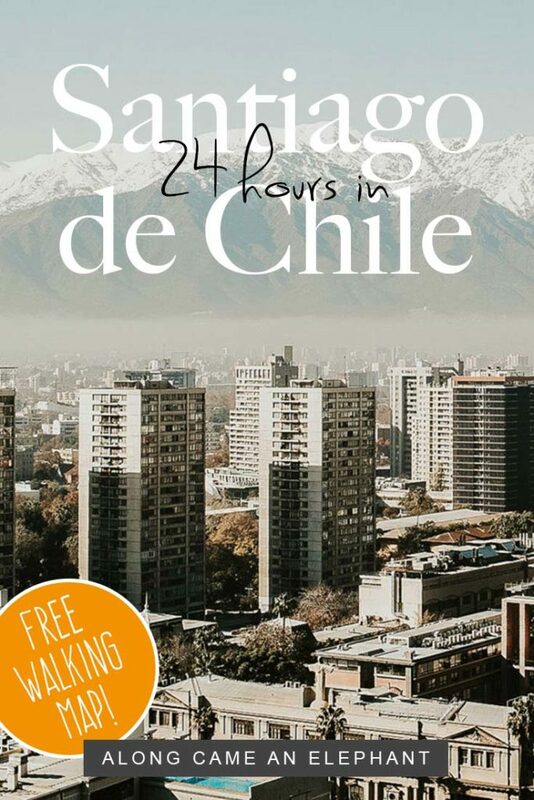 Alright, now let’s start our self-walking tour of Santiago, Chile! I created two maps for this walking itinerary. The first map covers the walk until you take the funicular up to Cerro San Cristobal. If you’re into street art, you can find a more detailed map with the most interesting murals below in this article. The second map covers your walk back from Cerro San Cristobal. Get yourself to the Santa Lucia Metro station (or thereabouts) and head east to the Fuente Neptuno, Santiago’s beautiful pastel yellow staircase. You’ll have to register before entering the park but entrance is free. 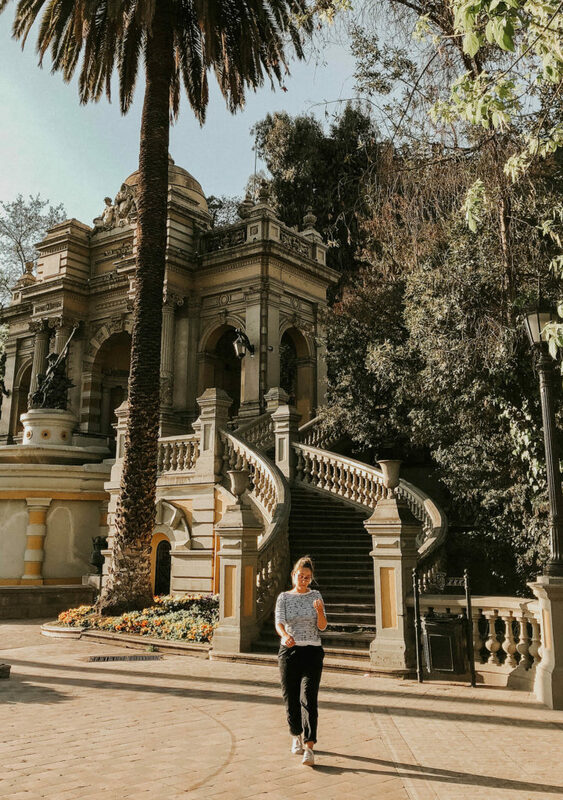 Find your way through the tiered maze of cobblestone walkways, manicured gardens, turrets, towers and fountains and take the steep stairways all the way to the top for an all-the-way-around view of Santiago. 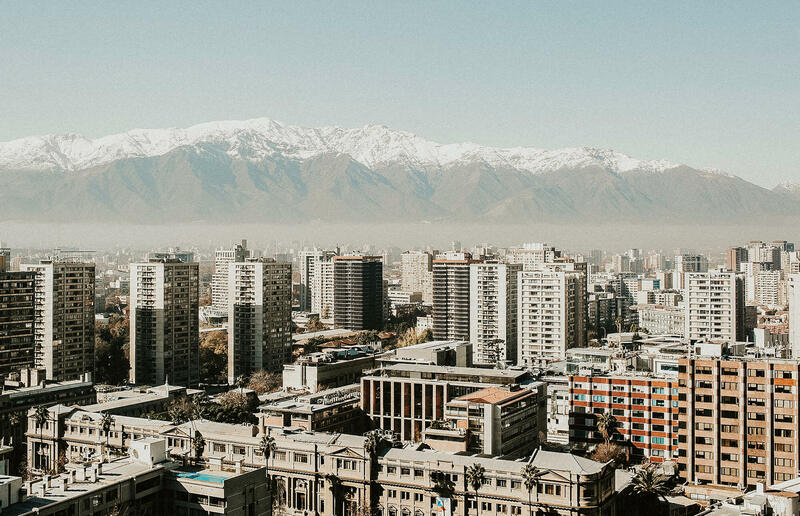 On a clear day you get a 360° views of Santiago and the surrounded mountaintops, dusted with snow. The Plaza de Armas felt like a time capsule. The old and the new, living together. I loved the feel of the 19th century neoclassical architecture. 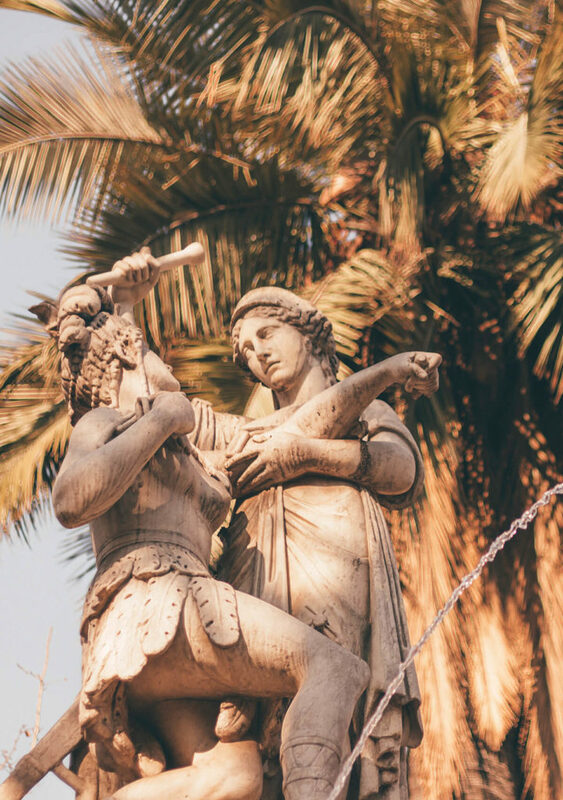 Add a dash of art deco here and there and a sprinkling of grit and bling of any world class city and that’s Santiago for you, a perfect summary right here at the Plaza de Armas. 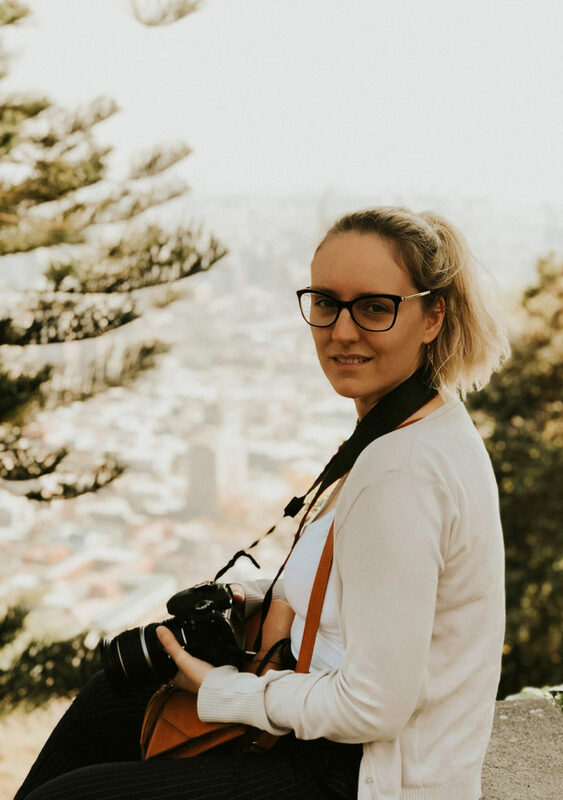 Empanadas are a mouth-watering South American stuffed pastry that are excellent snacks to take along on this self-walking tour of Santiago (we got you covered bro!). Every Latin American country has their own take on the classic empanada, but in Chile you get a lot for your money. There are a handful of fillings used but the most traditional one is pino, ground beef mixed with onions, raisins, olives and hard boiled eggs. 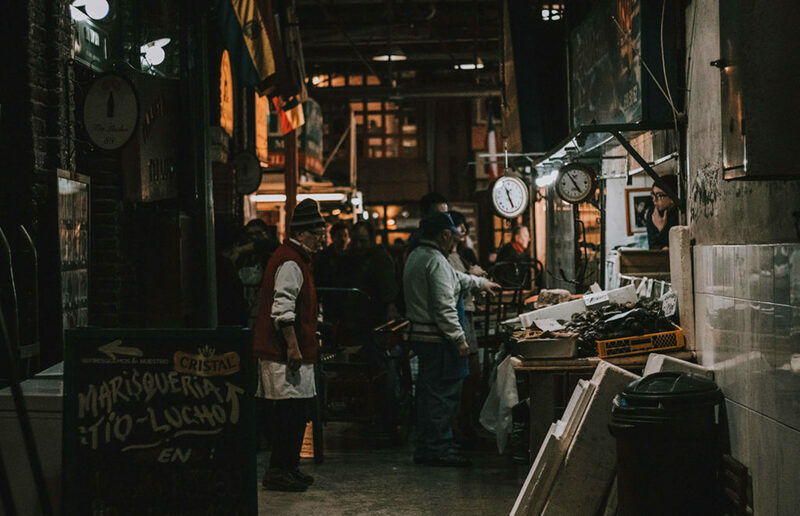 The best places to find empanadas on the go are at the stalls near the Cal y Canto metro stop near Mercado Central (which you’ll pass later if your follow our self-walking tour of Santiago itinerary) or at El Rápido. El Rápido is Santiago’s famous empanada fast food restaurant, where service is so fast that you’ll hardly spend 5min inside! 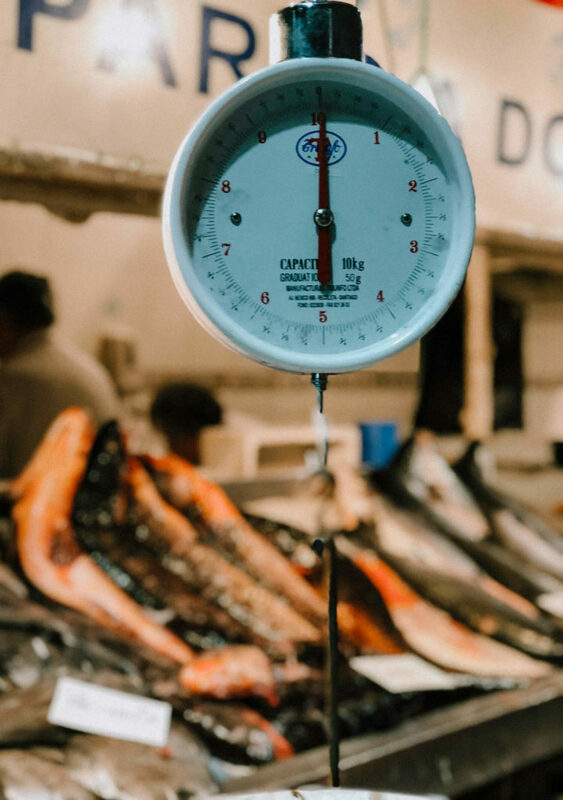 Chile has 2,650 miles of Pacific coastline and there’s no place better to appreciate the freshest seafood that comes from these cool waters than Mercado Central. 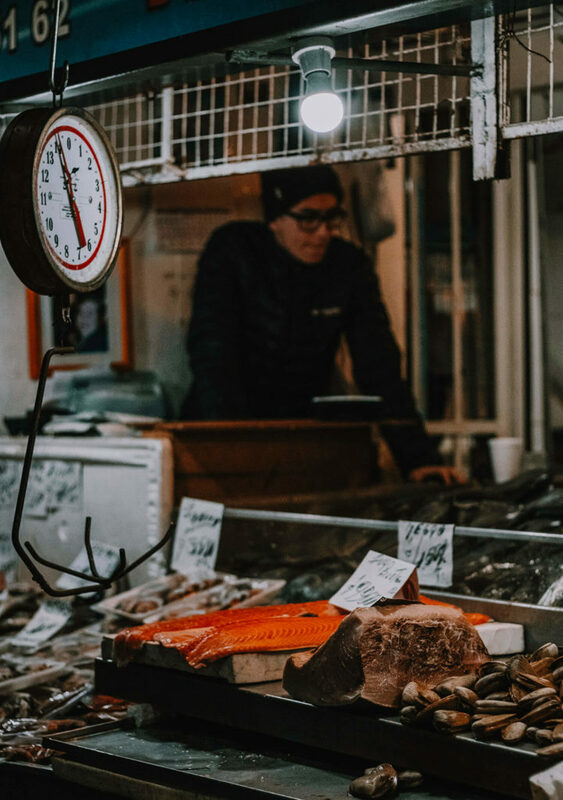 The Mercado Central, Santiago’s Central Fish Market, is a great place to browse around and see the neptunal bounty that is being sold here. 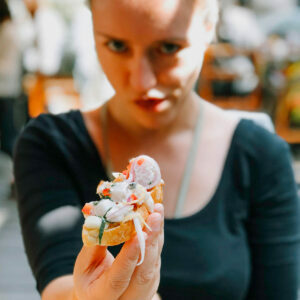 If an empanada is not your ‘thang’, you might enjoy a good ceviche here. 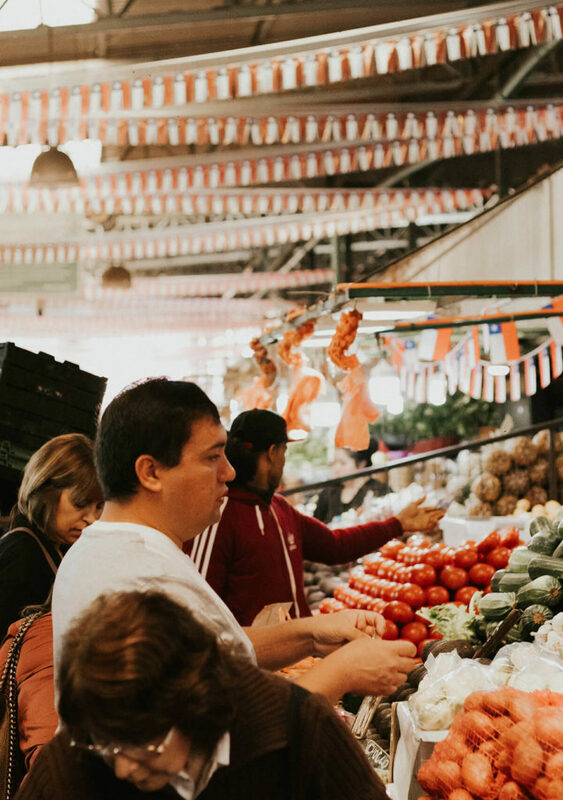 Too touristy for us, we preferred to grab a snack or lunch on the go at the Puente Cal y Canto Metro station – right across the road are the La Vega and flower markets. 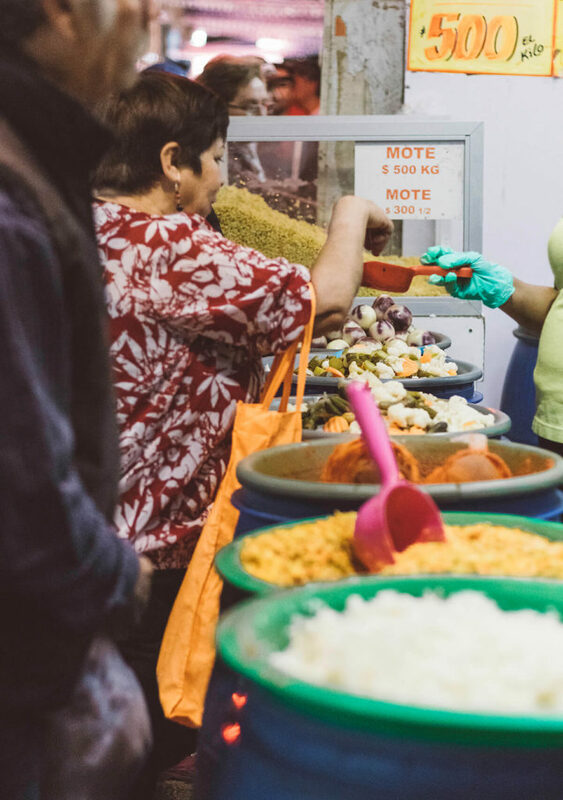 La Vega is one of Santiago’s busiest food markets, where you can find national foods at their freshest. This place is frequented by locals and not touristy at all! 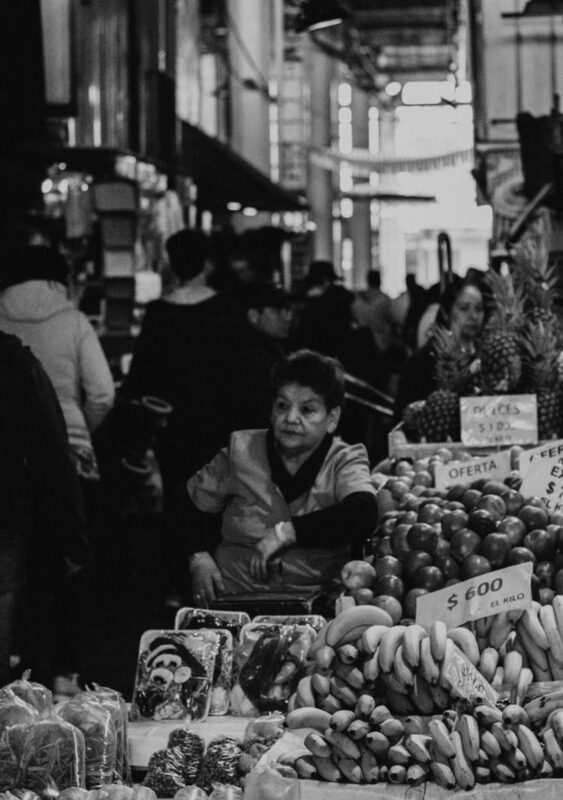 This is one of the main reasons we love La Vega so much, it’s a peek into the Chilean life in Santiago. 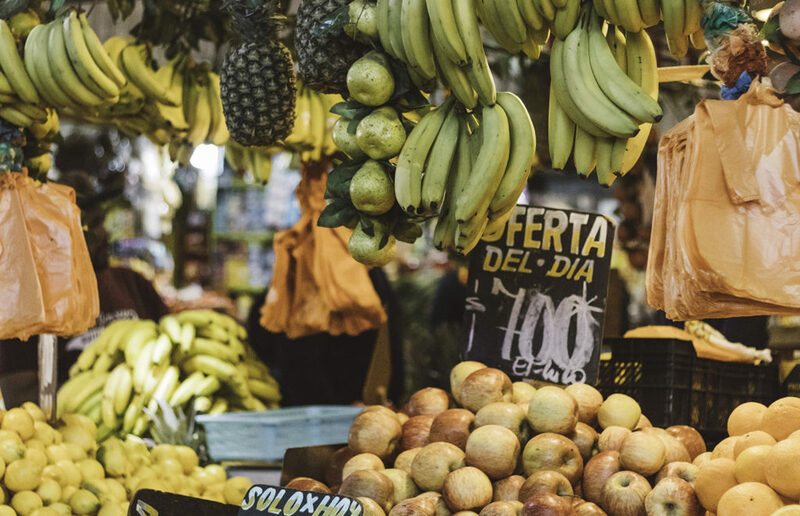 Make your way through the labyrinth of alleyways and discover popular Chilean and South American fruits and flavors such as lúcuma, nísperos and chirimoya alegre. Watch out for the Frutos Naturales stand, and get some refreshment (it can become quite hot here) with the most popular blends of fruit and vegetables in the city. 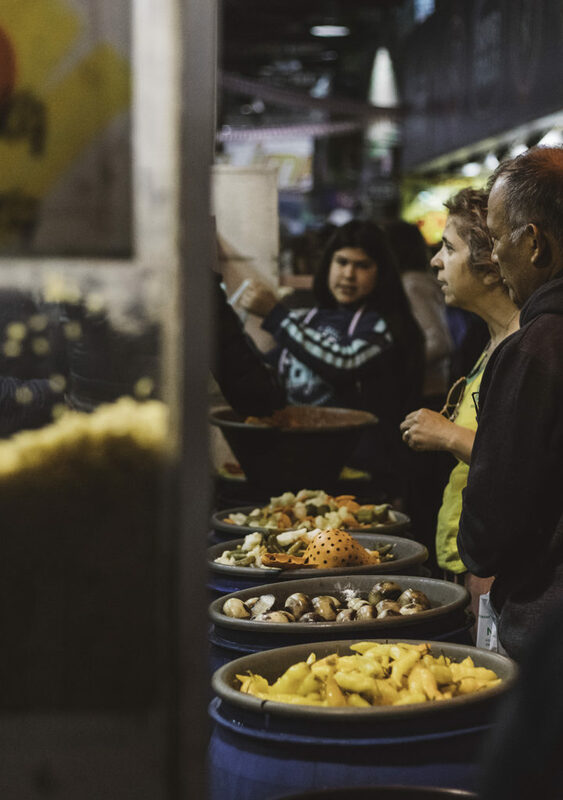 Grab some freshly prepared dishes at one of the stalls while browsing the market or take your pick from the abundant street food at the Puente Cal y Canto Metro station, when you’re ready to move on. If you’re in need of toilet break, there are restrooms at La Vega. 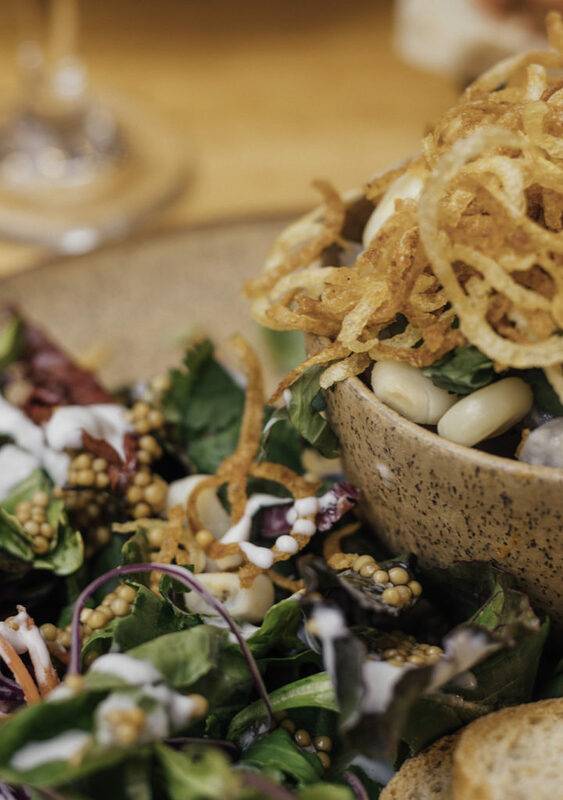 If you’re in Santiago and haven’t heard of Barrio Bellavista yet… HAVE YOU BEEN LIVING UNDER A ROCK? Barrio Bellavista is famous for its nightlife and funky street art. 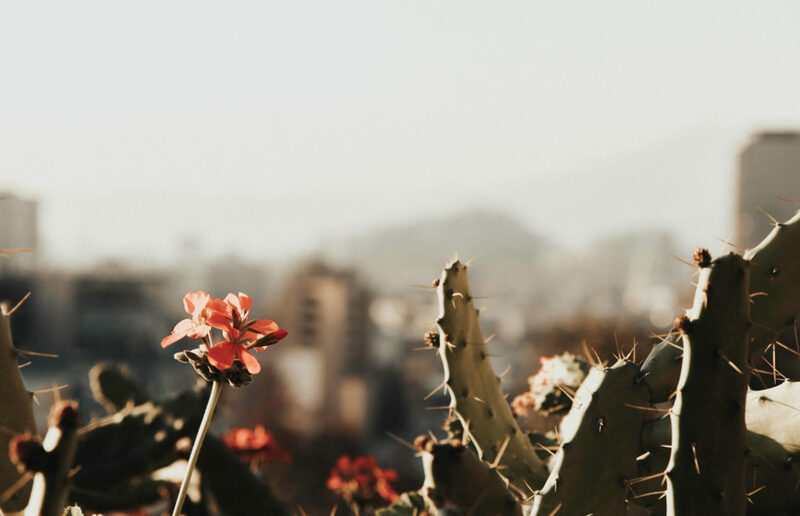 In colonial times, squeezed between the Cerro San Cristobal to the north and the Mapocho River to the south, Barrio Bellavista was considered rural and poor. This status in turn attracted artists, writers and musicians. Street art is a big part of Bellavista’ culture. 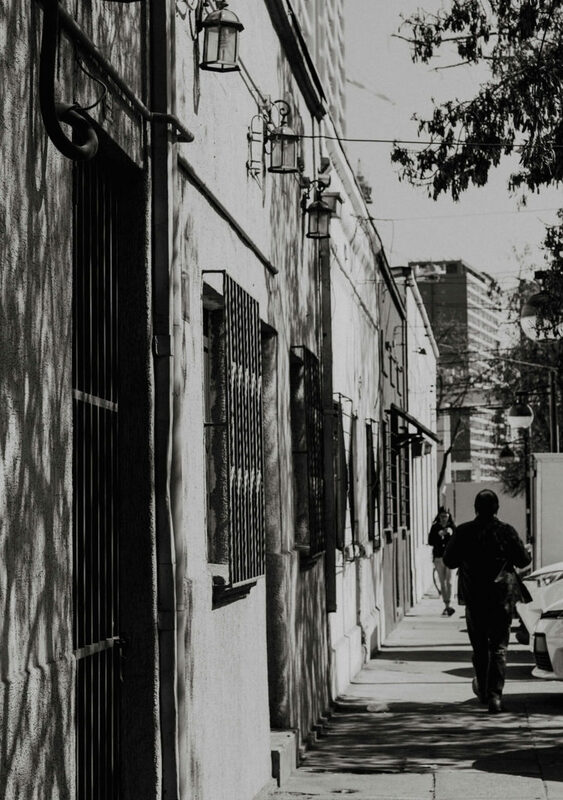 Barrio Bellavista remains to exhume this feeling of an artistic refuge. I recommend taking your time around Barrio Bellavista and explore the murals that you find interesting. 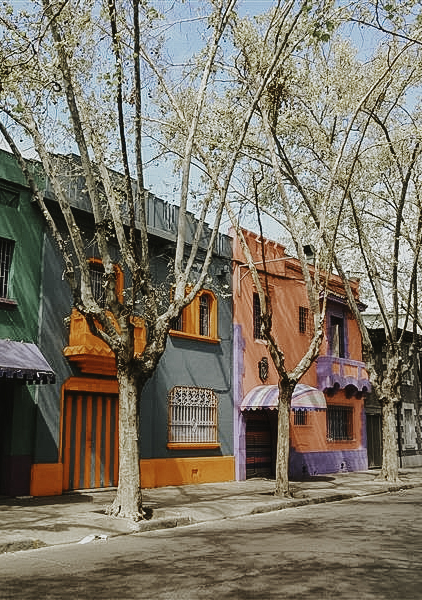 Santiago Tourist created a map featuring some of Bellavista’s best street art spots, so you can explore at your own pace. When in Santiago there should be one thing predominantly on your to-do list and that is to check out the view! 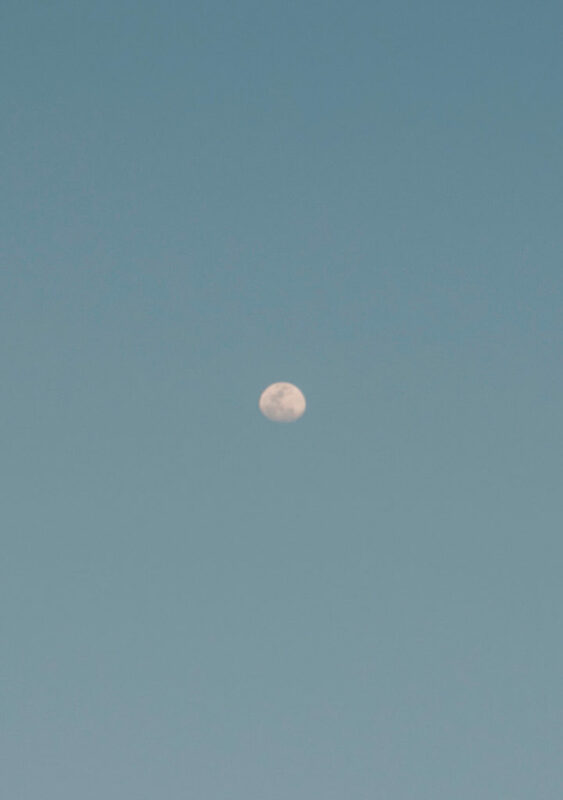 On a clear day, you’ll have spectacular views of the city and its adjacent Andean mountains. You can get up Cerro San Cristóbal by hiking, as you will see many of the locals doing, by driving, or by riding the funicular from Bellavista. The view and the mote con huesillo are unbeatable. This is a Chilean summer drink, best served cold, which includes rehydrated dried peaches (huesillos), husked wheat (mote) and a touch of cinnamon. 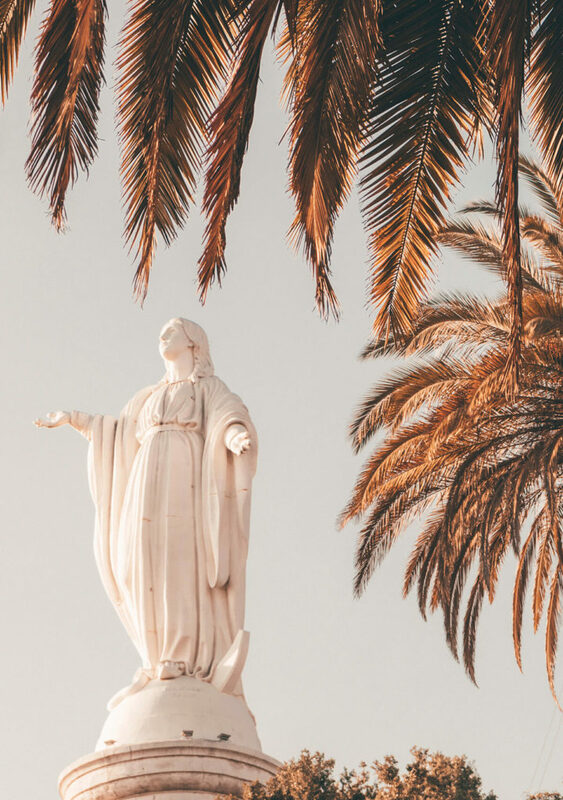 Sit at the foot of the impressive 22-meter statue of the Virgin Mary with a cup of the best mote con huesillo in town while enjoying the breath-taking views of the city. We took to funicular up to the top and continued to ride the teleferico all the way to the end station. We had one purpose, to get to Barrio Las Condes and go the viewing platform of Sky Costanera. 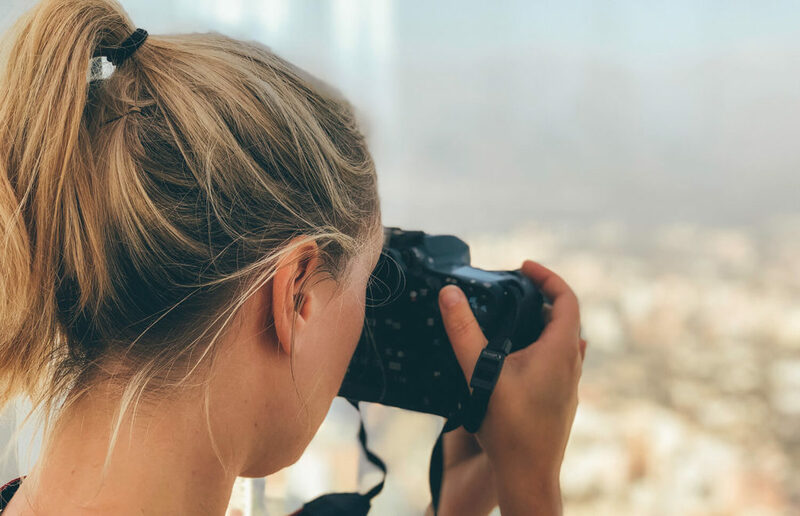 If you haven’t had enough panoramic views from the city’s cerros, or you aren’t up for a hike, head over to Sky Costanera in El Golf (aka ‘Sanhattan’, you get it?). 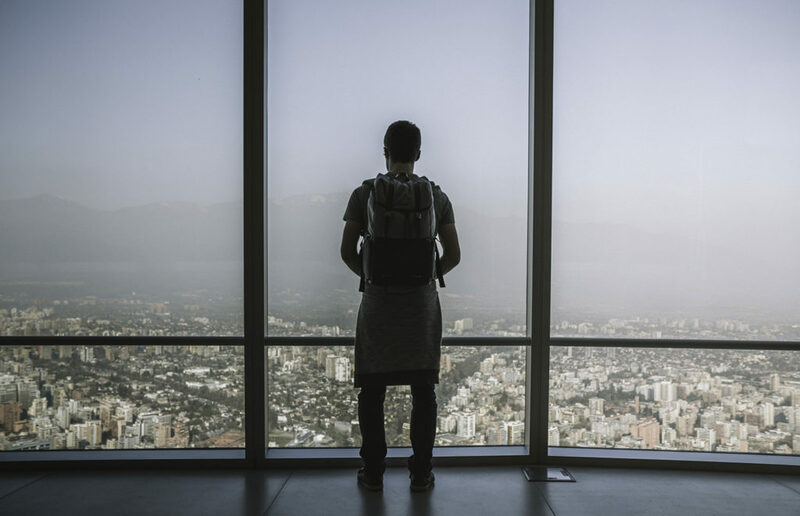 You can have an amazing 360° view of Santiago from the mirador at Sky Costanera (at 300 meters). It is currently the tallest building in South America and is open 365 days a year (including holidays). You can buy your tickets in advance at the ticket booths, so if it’s cloudy you can plan ahead for another day. It’s open from 10am-10pm with the last ride up at 9pm so if you want to see the sunset make sure you plan your visit accordingly! Afterwards we took the teleferico back to the Pio Nono station at Bellavista. 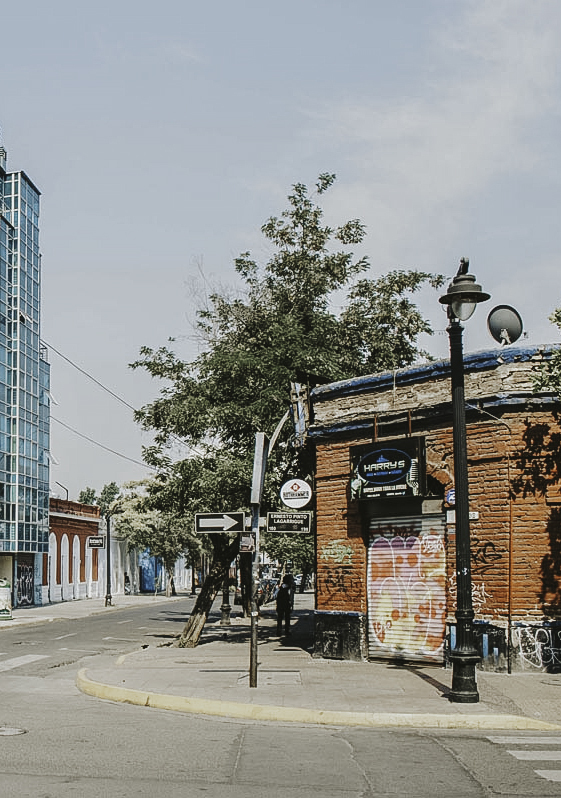 Back in Barrio Bellavista, you can find peculiar architecture, art and gastronomy in just one place. 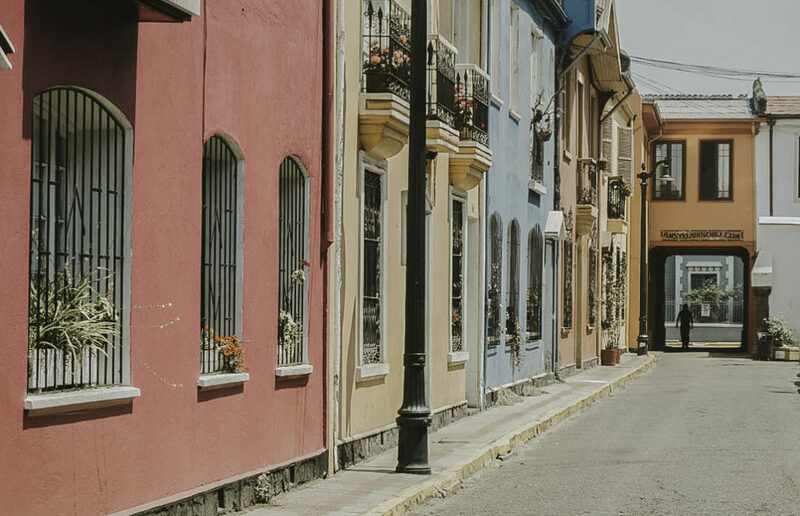 Apart from the diverse shops where you can buy knitwear and jewelry located at Patio Bellavista, Pio Nono is the neighborhood’s main street. The jewelry shops mainly work with lapis lazuli. This is a semiprecious stone of an intense blue color which can only be found in two places in the world: Chile and Afghanistan. Some blocks away from where you just had dinner, you can finish the night at Sarita Colonia (Peruvian restaurant) where you will try cocktails that will make you want to dance all night (yeah you know what I’m talking about 😉 ). 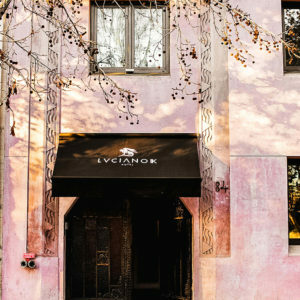 If you wnat to end the night with something special, Barrio Lastarria hides another great pub which is called Bajo Llave. It’s an underground bar/restaurant located in an old building at Nueva Rosal 344. If you want to enjoy a privileged view with stunning sunsets, good vibes and diverse dishes and cocktails, the best choice is Azotea Matilde at Antonia Lopez de Bello 0118, 6th floor. It is frequented a lot by expats though so if you’re looking for a places that is more visited by locals, I would stick to the two bars mentioned above. 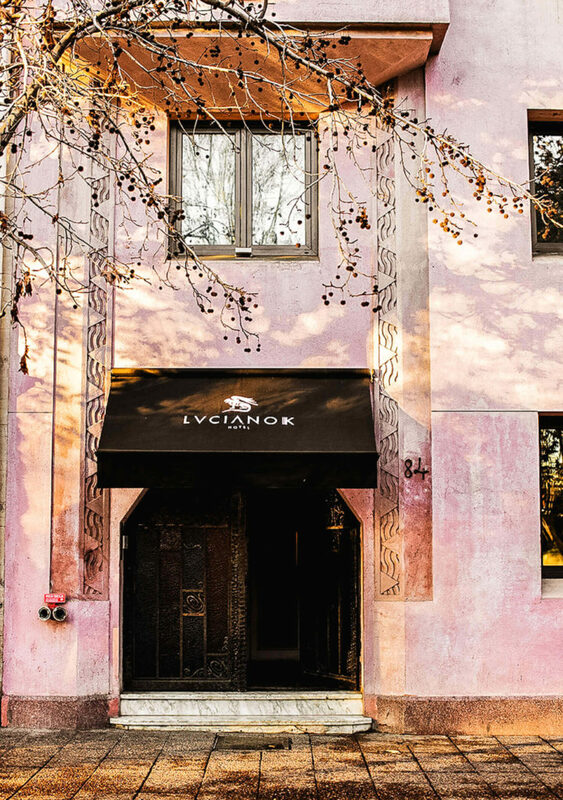 We rested our heads at Luciano K, a boutique restaurant right at the edge of Barrio Bellavista and centrally located for this entire walking tour. We also enjoyed a stay in Santiago’s Airbnbs. 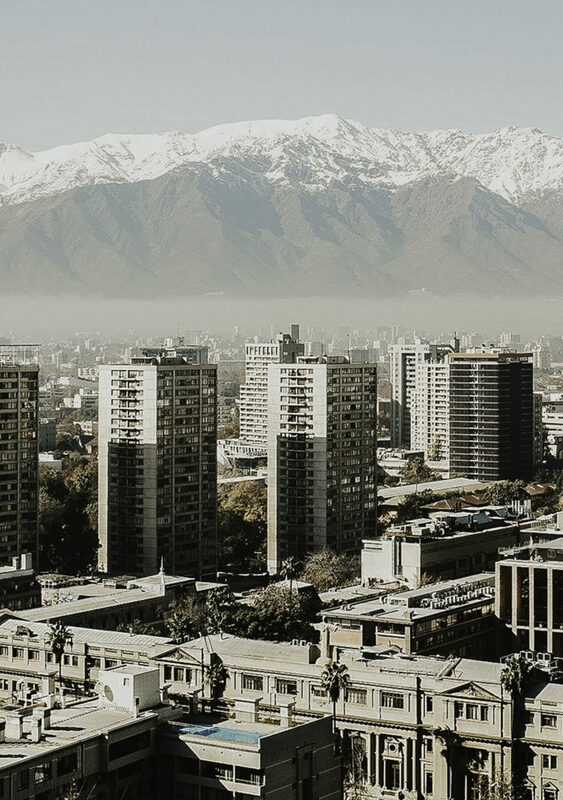 Santiago has plenty of good quality and several with excellent views over the Andes Mountains!